This is the Hobbywing 4274SD G2 Sensored Brushless Motor from Hobbywing, suited for us with most 1/8 Off-Road Buggy and Truggy options. 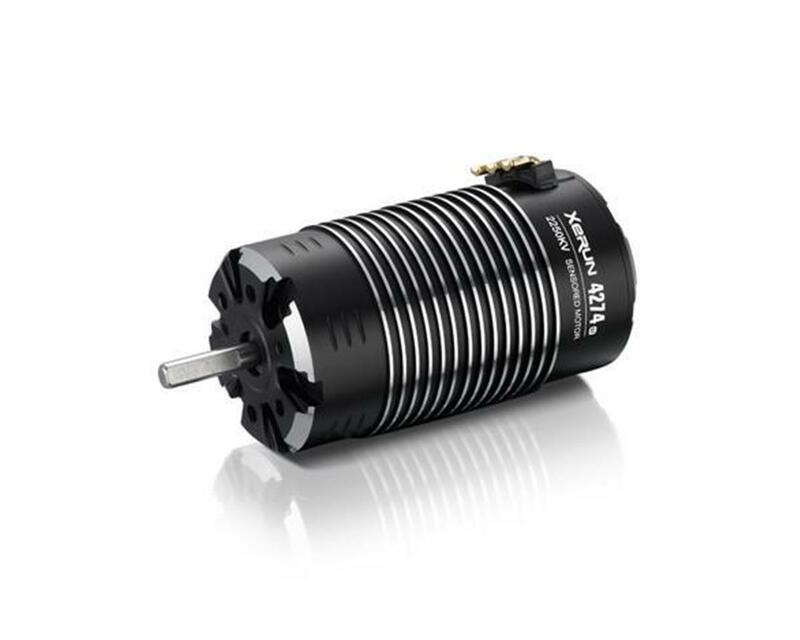 The first motor (in the world) with a built-in chip which helps the ESC identify it's a Hobbywing motor (when pairing with XERUN XR8/XR8 Plus) and form a power system which can work in the "Full-Sensored" mode to provide users with improved performance and smoother control. The bi-directional adjustable mechanical timing, can meet the different power demands of various applications. Bi-Direction refers to CW and CCW operation of the motor. The first "error-free" Hall sensing system adopted by this motor guarantees users the steady operation in the "Full-Sensored" mode. A separate high-speed high precision encoder always output the clean signals (indicate the rotor) and not be affected by other signal interference. The first motor adopted the innovative 4-pole 8-magnet "staggered pole" rotor has extremely low cogging effect and low torque pulsation (it's reduced by 85% when comparing with traditional 1/8th scale motors). This thing RIPS, SERIOUS power in combination with 4S and the Hobbywing 1/8 ESC, runs cool and smooth, perfect for a fun basher monster truck to a dedicated race buggy, this can do it. Fit and finish was beautiful, solder tabs are just right for 12 gauge wire, has both M3 and M4 tapped mount holes for hardware options to fit any 1/8 or large 1/10 vehicle. The low cog torque gives your car a very nice, controllable coast and when you need them the brakes are smooth and powerful.